An important dimension of MGM Resorts International's history and character is its commitment to Corporate Social Responsibility. MGM Resorts believes that it can both excel as a profit-making business and make a positive contribution to the benefit of its employees, its community and the environment. Volunteerism and community spirit are integral elements of MGM Resorts' culture. With its family of more than 61,000 community-minded team members engaged in our communities, MGM strives to make a difference everywhere we live, work and care for our families. MGM Resorts' contributions to host communities go beyond cash donations - MGM also dedicates its time, talent, labor and spirit to its local nonprofit partners. Given its strong commitment to diversity, MGM will continue to make these contributions in Prince George's County and all of its host communities. MGM National Harbor supports nonprofit agencies that provide direct services to people living in the communities where our project has an impact, as well as where our future employees live. MGM National Harbor’s 2016 philanthropic contributions will reflect not only the communities that we serve, but also our parent company MGM Resorts International’s commitment to corporate social responsibility and to building stronger host communities. 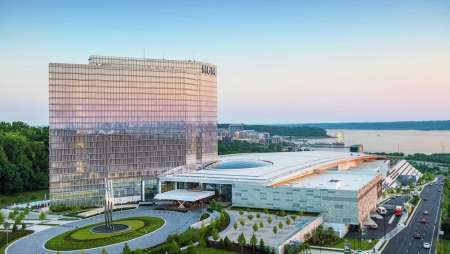 In accordance with the Community Benefit Agreement between Prince George’s County, MD and MGM National Harbor, MGM has committed to an annual contribution to The Community Foundation. Learn about how we are bettering the community by creating careers, committed to diversity and creating local benefits. Your organization must be a registered, qualified tax-exempt, section 501 (c)(3) charity based in the metropolitan Washington region: Prince George’s and Montgomery County, MD, Washington, DC and Northern Virginia. Please click the button below to access the online request form. Incomplete forms and those with missing documentation will not be considered. Each request must be submitted no later than 45 days prior to your sponsorship deadline.No phone calls or emails for status update. Our contributions must address the most critical community needs, principally in Prince George’s county extending to the greater Maryland area. We strive to develop partnerships and make contributions that result in systemic change and that have long-term impact. While in the process of engaging, we strive to cultivate leadership among our partners and offer expertise in order to sustain our good works. We value sustainable returns on investment and interdependence between our company and the community. Organizations seeking grants or sponsorship monies must demonstrate the practice and advancement of the principles of diversity and inclusion. Do you have deadlines for application submission? We accept and review applications on a quarterly basis within 30-90 days of their submission. No, all applications must be submitted through our online application process. When will I be contacted about the status of my request? Will I need to submit a report of outcomes, impact and metrics? Can I apply for funding multiple times throughout the year? Due to the volume of requests received and the limited resources, we can only accommodate one request per organization each calendar year. If my organization is selected to receive funding, does that support guarantee future funding? Unfortunately, no. 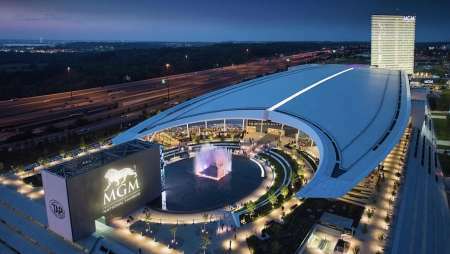 MGM National Harbor has full discretion to select a variety of organizations to support, which may change year over year.